PLASTIC SEAT AND BACK WITH A CHROME ALUMINUM FRAME. CHAIRS STACK 50 HIGH ON A PALLET. WEIGHT LIMIT IS 275 LBS. 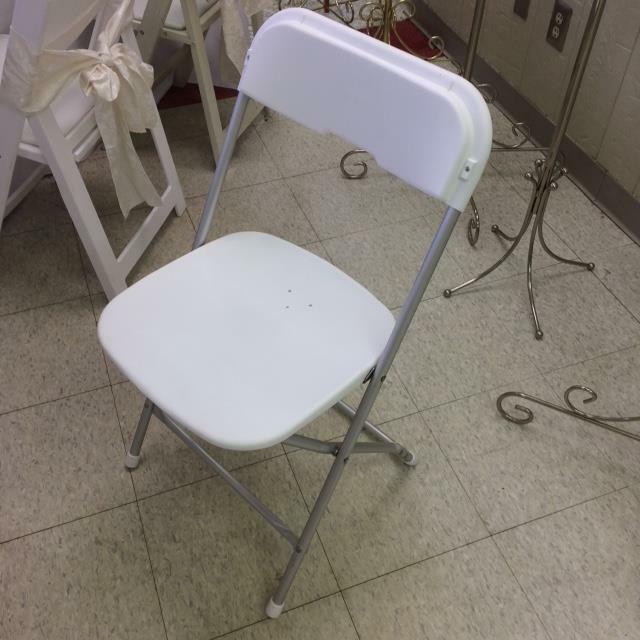 * Please call us for any questions on our chair folding white with chrome rentals in Kalamazoo MI, and Southwestern Michigan.